Brandhorst, T. T., Roy, R., Wuthrich, M., Nanjappa, S., Filutowicz, H., Galles, K., Tonelli, M., McCaslin, D. R., Satyshur, K. and Klein, B. (2013). Structure and function of a fungal adhesin that binds heparin and mimics thrombospondin-1 by blocking T cell activation and effector function. PLoS Pathog 9(7): e1003464. Chareonsirisuthigul, T., Khositnithikul, R., Intaramat, A., Inkomlue, R., Sriwanichrak, K., Piromsontikorn, S., Kitiwanwanich, S., Lowhnoo, T., Yingyong, W., Chaiprasert, A., Banyong, R., Ratanabanangkoon, K., Brandhorst, T. T. and Krajaejun, T. (2013). Performance comparison of immunodiffusion, enzyme-linked immunosorbent assay, immunochromatography and hemagglutination for serodiagnosis of human pythiosis. Diagn Microbiol Infect Dis 76(1): 42-45. Krajaejun, T., Chongtrakool, P., Angkananukul, K. and Brandhorst, T. T. (2010). Effect of temperature on growth of the pathogenic oomycete Pythium insidiosum. Southeast Asian J Trop Med Public Health 41(6): 1462-1466. Gauthier, G. M., Sullivan, T. D., Gallardo, S. S., Brandhorst, T. T., Vanden Wymelenberg, A. J., Cuomo, C. A., Suen, G., Currie, C. R. and Klein, B. S. (2010). SREB, a GATA transcription factor that directs disparate fates in Blastomyces dermatitidis including morphogenesis and siderophore biosynthesis. 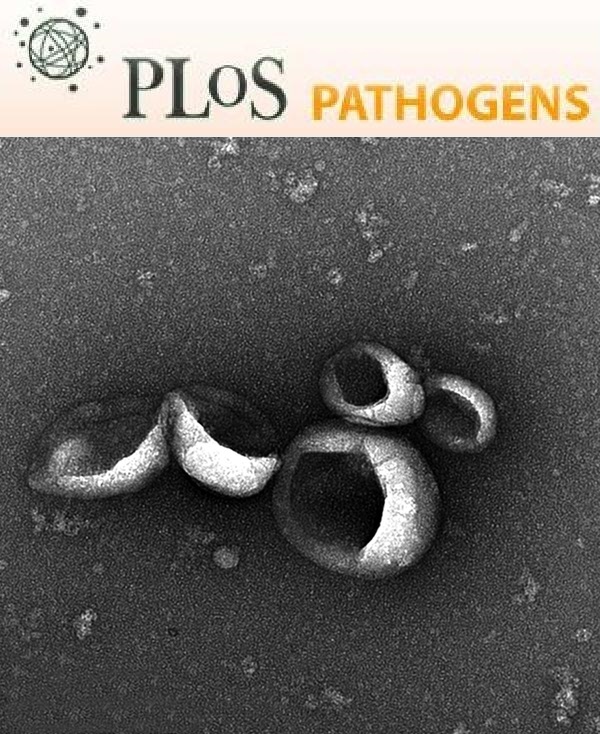 PLoS Pathog 6(4): e1000846. Wuthrich, M., Finkel-Jimenez, B., Brandhorst, T. T., Filutowicz, H. I., Warner, T. and Klein, B. S. (2006). Analysis of non-adhesive pathogenic mechanisms of BAD1 on Blastomyces dermatitidis. Med Mycol 44(1): 41-49. Brandhorst, T. T., Gauthier, G. M., Stein, R. A. and Klein, B. S. (2005). Calcium binding by the essential virulence factor BAD-1 of Blastomyces dermatitidis. J Biol Chem 280(51): 42156-42163. Brandhorst, T. T., Wuthrich, M., Finkel-Jimenez, B., Warner, T. and Klein, B. S. (2004). Exploiting type 3 complement receptor for TNF-alpha suppression, immune evasion, and progressive pulmonary fungal infection. J Immunol 173(12): 7444-7453. Brandhorst, T., Wüthrich, M., Finkel‐Jimenez, B. and Klein, B. (2003). AC‐terminal EGF‐like domain governs BAD1 localization to the yeast surface and fungal adherence to phagocytes, but is dispensable in immune modulation and pathogenicity of Blastomyces dermatitidis. Molecular microbiology 48(1): 53-65. Brandhorst, T. T., Rooney, P. J., Sullivan, T. D. and Klein, B. (2002). Molecular genetic analysis of Blastomyces dermatitidis reveals new insights about pathogenic mechanisms. Int J Med Microbiol 292(5-6): 363-371. Brandhorst, T. T., Rooney, P. J., Sullivan, T. D. and Klein, B. S. (2002). Using new genetic tools to study the pathogenesis of Blastomyces dermatitidis. Trends in microbiology 10(1): 25-30. Wuethrich, M., Brandhorst, T. T. and Klein, B. S. (2001). Patent: Attenuated vaccine for Blastomyces dermatitidis. Assigned through Wisconsin Alumni Research Foundation. (P00200US) United States Patent 6248322. Brandhorst, T. T., Rooney, P. J., Sullivan, T. D. and Klein, B. S. (2002). Using new genetic tools to study the pathogenesis of Blastomyces dermatitidis. Trends Microbiol 10(1): 25-30. Zhang, M. X., Brandhorst, T. T., Kozel, T. R. and Klein, B. S. (2001). Role of glucan and surface protein BAD1 in complement activation by Blastomyces dermatitidis yeast. Infect Immun 69(12): 7559-7564. Finkel-Jimenez, B., Wuthrich, M., Brandhorst, T. and Klein, B. S. (2001). The WI-1 adhesin blocks phagocyte TNF-alpha production, imparting pathogenicity on Blastomyces dermatitidis. J Immunol 166(4): 2665-2673. Brandhorst, T., Dowd, P. F. and Kenealy, W. R. (2001). The effect of fungal ribosome inactivating proteins upon feeding choice in C. freemani, and indications of a mutualistic relationship with A. restrictus. Environmental mycology. Mycopathologia 152(3): 155-158. Brandhorst, T. and Klein, B. (2000). Cell wall biogenesis of Blastomyces dermatitidis. Evidence for a novel mechanism of cell surface localization of a virulence-associated adhesin via extracellular release and reassociation with cell wall chitin. J Biol Chem 275(11): 7925-7934. Brandhorst, T. T., Wuthrich, M., Warner, T. and Klein, B. (1999). Targeted gene disruption reveals an adhesin indispensable for pathogenicity of Blastomyces dermatitidis. J Exp Med 189(8): 1207-1216.